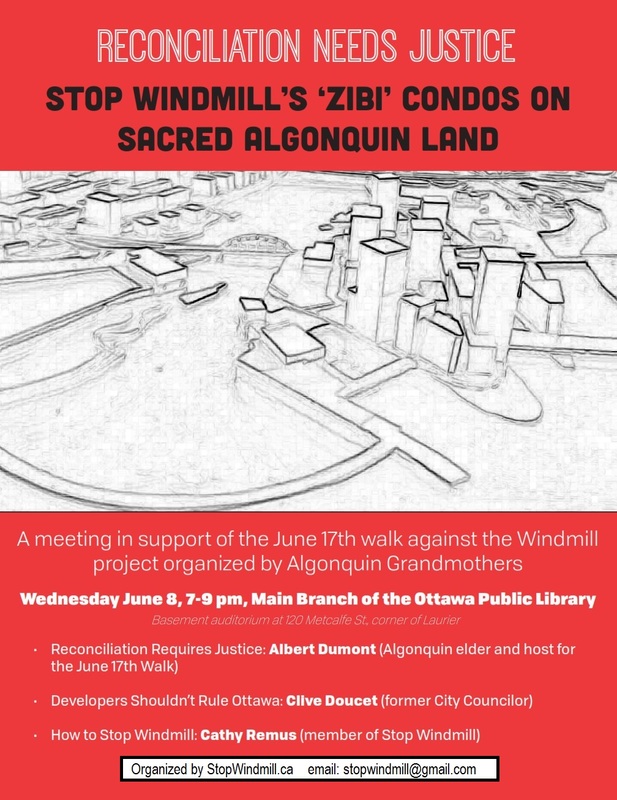 With the launch of their website StopWindmill.ca, committed labour and student activists in the nation’s capital have organized a public meeting on June 8 in support of the It Is Sacred ceremony and walk to Parliament Hill set for June 17. Respected Algonquin Elder Albert Dumont, former city councillor Clive Doucet, and settler ally/union activist Cathy Remus will be on the June 8 panel that aims to discuss ways to support an authentic Indigenous vision for three islands and Chaudiere Falls in the Ottawa River. Come to the June 8 meeting to talk about how you can support it.